If you fancy planning a getaway in Ireland to distract from those end of summer blues, Airbnb has a great selection of accommodation for various budgets to choose from. Whether you’re part of a group, solo or searching for a romantic break, there is something to suit everyone’s needs. Check out our top ten recommended places to stay which can be booked via Airbnb whether you’re going for big, small, modern or rustic! Suited to independent travellers, the first option is a New-Private Floor in Georgian House hosted by Ben in Dublin. For €69 per night, the guest is provided with a soundproof floor to themselves including one bedroom, a double bed, a private bathroom and a kitchenette with a fridge and microwave oven included. There is also a TV with Netflix provided and the location is a 5 minute walk from the city centre and attractions like Trinity College. Breakfast is not included but snacks are provided and the host has a small dog so a bonus for animal lovers! Get a closer look here. Another well-presented lodging for solo travellers, this time located in Cork is Olivia and Andrew’s Cottage by the Sea Ensuite Continental Breakfast. The cottage, built in 1893, costs €50 per night and includes a bedroom with one double bed and a private ensuite bathroom also. 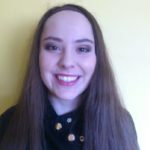 A continental breakfast that includes vegan and vegetarian options is included and the accommodation is situated in a village that is only 7 minutes from the train station in Cobh and 20 minutes from Cork Airport by car. Cork City is also just 20 minutes away by car. Take a look for yourself here. 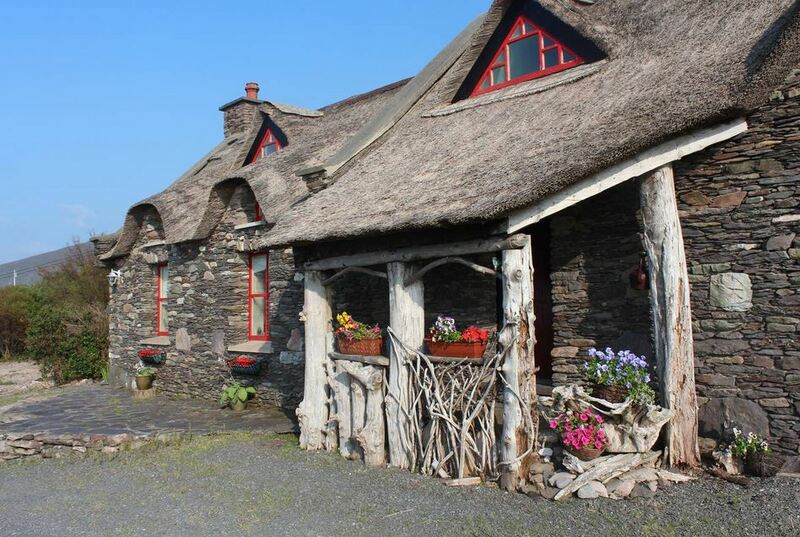 If you can afford to splash the cash in a nice romantic break away from everyday life, the Thatched Irish Home with Sea Views in Gortaforia, Co. Kerry is the perfect recipe for a great Airbnb in Ireland. The cottage featured on RTÉ’s Nationwide, has the Ring of Kerry nearby, accommodates 4 bedrooms, 7 beds and a bathroom coming at a price of €375 per night. It holds a special offer for couples if you specify a romantic welcome package. It is a self-catering experience and a kitchen and fire are included. Check out the rest of the accommodation here. If sophistication in the city is what you seek in a romantic break, Karin’s luxurious Unique Oval Georgian Studio in Dublin is the place to be. A studio apartment overlooking a park and just minutes from O’Connell’s street, for €120 per night guests can expect a welcome pack of food items along with a double and single bed, bathroom, kitchen and Wi-Fi facilities. A continental breakfast is also provided. See it in full here. If a secluded, rural escape with adventure for kids is what you seek, check out host Greg’s The Times: Best Irish Cottage which is located in Donegal. 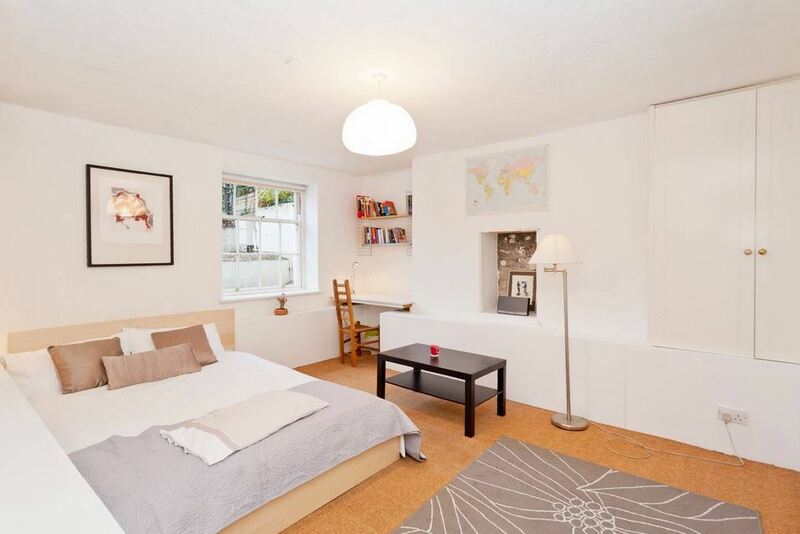 Suited to a small family of up to 4 people with 2 bedrooms and 2 double beds provided along with a bathroom, this quaint setting was awarded the title of one of the ‘Top 20 Places for the Summer in UK or Ireland’ in 2012 by the UK Sunday Times newspaper. Costs start at €85 per night and is a self-catering experience with access to a kitchen and acres of farmland to explore, Glencolmcille village is just a 13 minute drive away and there is also a Gaeltacht nearby. Pets are welcome, find out more here. If a more modern setting would suit your family, Sarah’s Old World Converted Stable Yard in Dublin near the Phoenix Park is a promising choice. From €179 per night, this hosts a bigger family of up to 9 people with 4 bedrooms and 5 beds including one with a crib suited towards an infant. Amenities for infants such as a baby monitor and high chair are also provided. There is a kitchen facility but no breakfast. It’s pet friendly and even has an indoor swimming pool so don’t forget your flip flops! See it in full here. 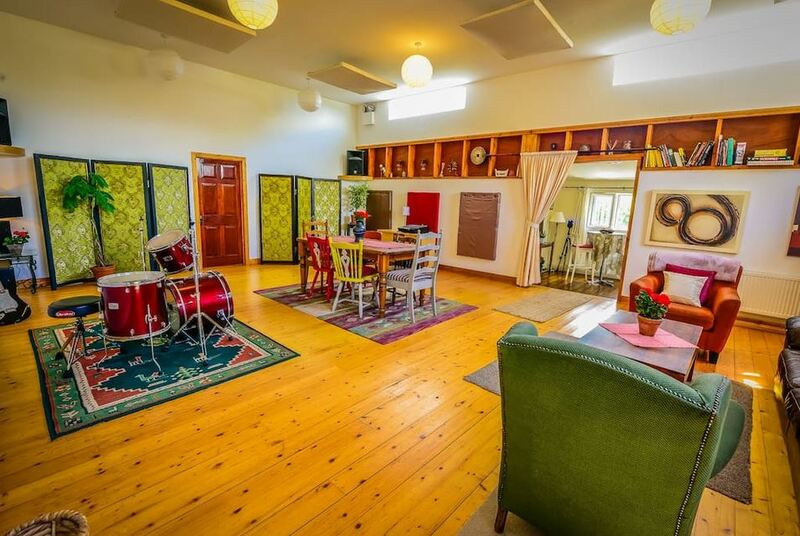 If a group of friends or wedding guests are looking to try out Airbnb in Ireland for accommodation, Linda and Enda have the answer with Crookedwood Farm in the Boyne Valley, Co. Meath. The farm caters for everyone put particularly large numbers. It’s not cheap at €303 per night but there are 2 very large bedrooms with 9 beds included between the two on the former dairy farm of Crookedwood. Breakfast is provided along with a kitchen for those who wish to whip up their own grub. You can feed and visit the rescue farmyard animals owned by the hosts and local sights such as Slane Castle and Newgrange also. You can get more details on the accommodation here. 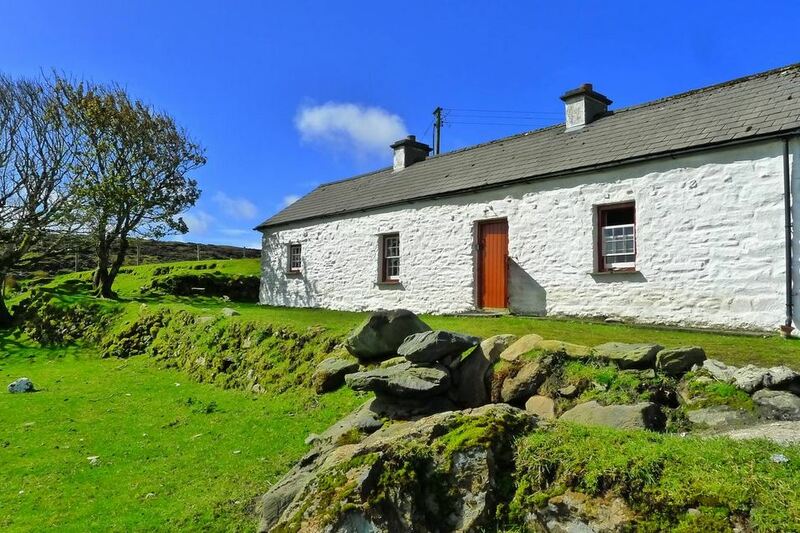 If a retreat in Kerry with a big group of friends sounds ideal, then Lillian’s 1884 Charming Old School House which accommodates 16 people is definitely a suitable option. There are 14 beds and 7 bedrooms included and if you are looking for somewhere to host an event, Lillian caters for this too. Breakfast is provided along with entertainment in the form of singing and jigs. Attractions include the Skellig coast and Skellig Michael and there is a small dog living there. The cost is from €280 per night, don’t hesitate, take a look right here. 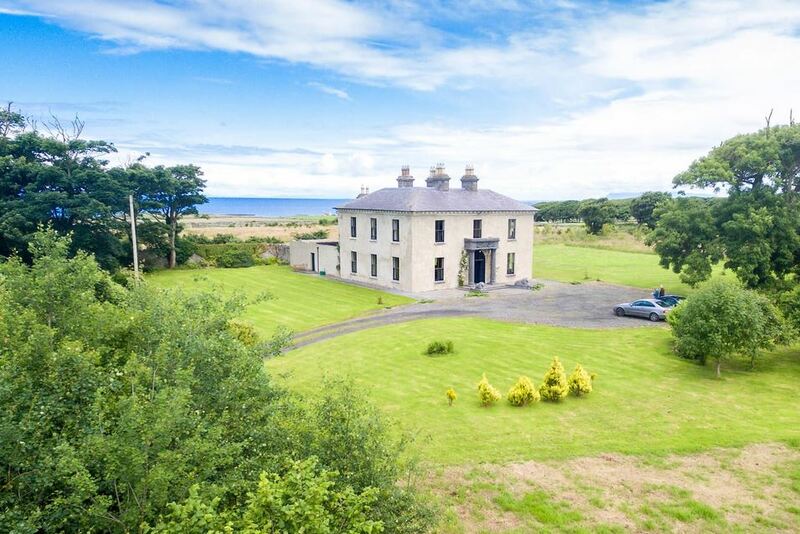 For tourists searching for scenic elements of Ireland, one good place to check out is Molly’s Atlantic View Boutique Countryhouse in Sligo from €297 per night. The house has great history dating back 200 years and holds enchanting views of the surf. It can house up to 14 guests with 6 bedrooms and 7 beds provided. Both breakfast and dinner are provided on request and accessibility of the kitchen for a self-catering holiday is also an option. A lounge room, pool table and private bar are also included. Local activities include surfing, hill-walking and airport or train station pick up are available on request. Get everything you need to know about the property here. If a rural location not miles away from Dublin Airport is preferred, Carmel’s Country Home in Mullingar, Westmeath would suit fine at 50 minutes away. It is a little more pricey at €429 per night but it includes 6 bedrooms and 8 beds that can fit up to 16 guests with a full Irish breakfast provided and access to a kitchen available. Activities include touring, playing golf, horse riding, sight-seeing and swimming in the local lakes. Smoking is permitted and there is Wi-Fi availability. For more details visit the property here. If any of these options appeal to you, simply create an account and start to experience all that Airbnb in Ireland has to offer! If you need some more details on the process, then you should check out out our post on Everything You Need to Know About Airbnb in Ireland.